The Delhi-based company will develop over 1,030 apartments in these two projects launched today. Ambience has presence in Delhi and Gurgaon property markets. It is developing a 150-acre project ‘Ambience Island’ in Gurgaon that comprises premium homes, ‘Leela Ambience’ hotel with over 400 keys and a huge shopping mall. In Delhi, it has a ‘Kempinski Ambience’ hotel comprising 480 keys and a shopping mall at Vasant Kunj. 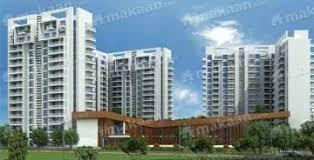 “We are coming up two new projects in Noida and Gurgaon. We are entering into the Noida market for the first time,” Ambience group Chairman Raj Singh Gehlot told reporters here. That apart, Gehlot said: “In 2010-11, we had raised Rs 170 crore in form of equity in Gurgaon project from private equity firm Indiareit.” However, he did not disclose the stake divested in the Gurgaon project. Ambience Group had planned Rs 1,300 crore initial public offer (IPO) in 2010-11 but had to shelve the plan because of bad market conditions. Asked whether the company would revive IPO, Gehlot said “there is no such plan at this moment”. Elaborating on the project, Ambience Director Aman Gehlot said the company will build 280 flats in the 3.5 acre Noida project ‘Ambience Tiverton’ at a cost of Rs 465 crore. In Gurgaon, he said over 750 flats would be constructed on 14.5 acre project ‘Ambience Creacions’ at Rs 1,480 crore cost. Ambience has fixed the selling price in both projects at Rs 9,000 per sq ft. The cost of the flats would be in the range of Rs 2 crore to Rs 4.5 crore. The construction work on both the projects have started and the completion is expected in four years. At present, Ambience group has about 1,000 acres of land bank, including 350 acre in Panipat where the company plans to develop a township.